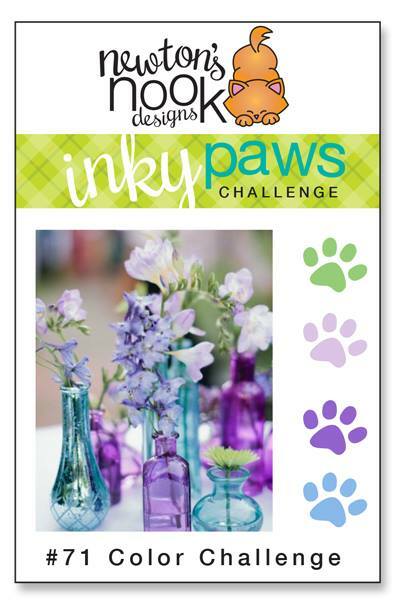 It is Monday, the start of a new Inky Paws Challenge. Look at all these pretty colours! Aren’t they gorgeous? I wanted to use the Beautiful Plumage stamp set for a while now and I thought the colours match perfectly the peacock image. So I coloured one of them with Copic markers (nothing fancy just basic colouring) and used the coordinating die to cut it out. I sponged some Tumbled Glass distress ink on a top folding, A2 sized white notecard and adhered a strip of gingham patterned paper in soft pastel. Then I die cut the You (MFT die set) once from white and once from glitter cardstock, layered them together. On a thin strip of purple cardstock I white heat embossed a sentiment (Lawn Fawn). I assembled the card, popped up the peacock with 3D foam squares and embellished it with a white gel pen, a black glaze pen and some glossy accents. I also added some subtle shimmer with a Tonic Aqua Shimmer pen. I think it could be a perfect card for Mother’s Day too. I hope I inspired you. 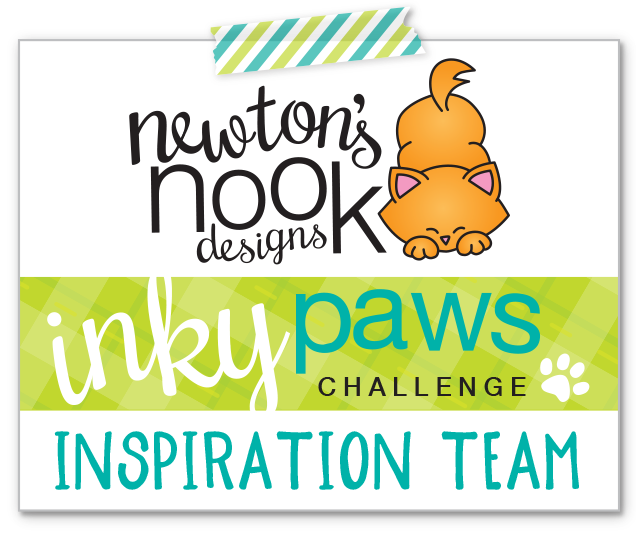 The Inky Paws Challenge #71 is open until 11th May, so you have 2 weeks to link up your project and be eligible to win a 20USD gift certificate to the Neston’s Nook Designs online store. I hope you join us in this pretty colour challenge. I will link my project up to the Simon Says Stamp Wednesday Challenge Anything goes. 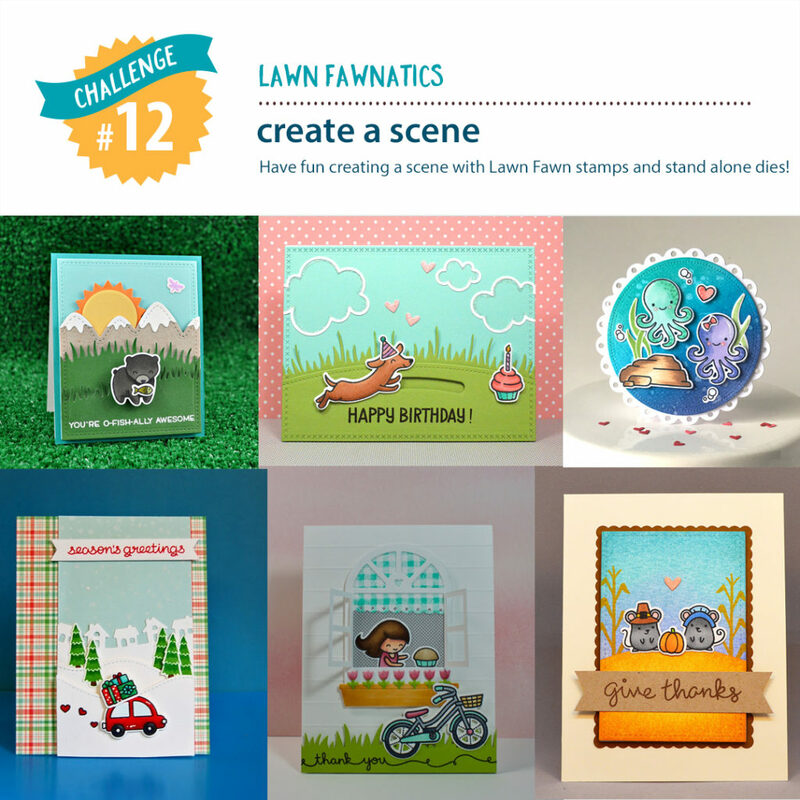 I am popping in with a fun card collection I made for the MFT World Card Making Day Challenges. They announced 4 challenge, and I made 3 cards for them. Let me show them one by one. I had a stencilled panel using distress inks, not all rainbow colours fit on it, but most of them are there. I die cut it with a fun stitched die from a Blueprints set and die cut the word Smile 3 times from watercolour cardstock. I added the same distress inks on the letters and stacked the 3 layers together. I heat embossed a sentiment from the All smiles stamp set on a thin black cardstock using white embossing powder. Then coloured a cute unicorn from the Birdie Brown set with Zig clean colour real brush markers. I fussy cut it this time and popped everything on the stencilled panel using 3D foam tape. I added a royal purple mat and the usual accents to finish the card: Spectrum Noir shimmer pen, Black glaze pen and some glossy accents. I made a very simple in-laid card using the diagonal stitched rectangles dies. I cut a frame from green cardstock and an inner piece from Neenah Solar White. In this one I die cut the sending hugs word die and replaced it with a silver metallic version when adhering it all to a white card base. Then I embellished it with some stitched flowers and a silver glitter enamel dot in their middle. This was the most difficult to figure out, then I realised that I could make the Christmas card for my new-born niece early. (The pics are not good as I captured them at night, not in natural light). I had a little cat already coloured with Copics, I just had to add a santa hat and a candy cane behind his back. I die cut the Merry Christmas sentiment from silver cardstock and the “1st” from velvet red. I used Stephanie Klauck’s technique to add this to my card front, made it so easy with the masking tape. On the background I white heat embossed some pretty snowflakes and gently blended a little Tumbled glass distress ink to make them more visible. A velvet red mat before I added it to a white card base and it was all done. Just a bit of shimmer and shine to make it more special, of course. Challenge 4: Make it and mail it. Ok there is no separate card for this, as I plan to send all the 3 cards out. The first one to a relative of mine living in Switzerland (belated birthday wish as she had her birthday few weeks ago), the second to a friend from IG I have not hear of for a while and the third to my little niece – actually this will be hand delivered at Christmas I think. Today is a special day, World Cardmaking Day 🙂 What else shall I do than making a bunch of cards? Meanwhile I cooked lunch and made the laundry and played with the kids…multitasking as always. The best card I made although today was the one I made in silence and peace 😀 But this one I will show in a separate post. So let me make this a different post: here are my cards, 3 with the same stamp and die set (all from SSS), coloured with Zig Clean colour real brush markers after heat embossing. I changed the colours and a little bit the design n the last one, but they are very similar. And as Newton’s Nook Designs is having my heart, I had to make a card using my all time favourite NND sunflower image from the retiring Flower Garden stamp set. Simple design, coloured with Prismacolor pencils. The beauty of it is the added prills in the middle of the sunflower and that pretty golden strip on the side. I hope you like my creations and that you also have time to craft today. It is so relaxing and fun! Be sure to pop in tomorrow, when I plan to share some more cute cards. 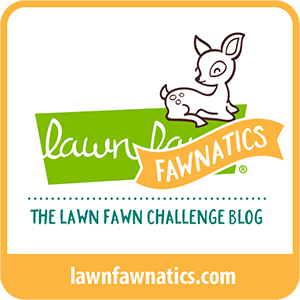 Another post from me today for the Lawnfawnatics Challenge: Create a scene. If only I had more time, I love Lawn Fawn stamps and creating a scene, just life did not allow me to indulge in more crafty time. I started with stamping and colouring the cute animals from the Wild for you set using Copic and Shinhan markers, and cut them with the coordinating dies. I also used the blackboard from A good apple set. I embellished it with some little accessories from the same set and coloured it with alcohol markers to. When it was die cut, I white heat embossed a sentiment from the So much to say stamp set on the blackboard. To set the background I chose 2 patterned papers from the Sweater weather pad and adhered the blackboard first. I used 3D foam tape to mount the critters. I used a black glaze pen, a white gel pen and Spectrum Noir shimmer pen to add some details. I finished it with adding glossy accents to some parts of the images for more dimension.